Solar power was installed at a school and church complex in the remote mountain community of Canon, Haiti, which had no electric power. 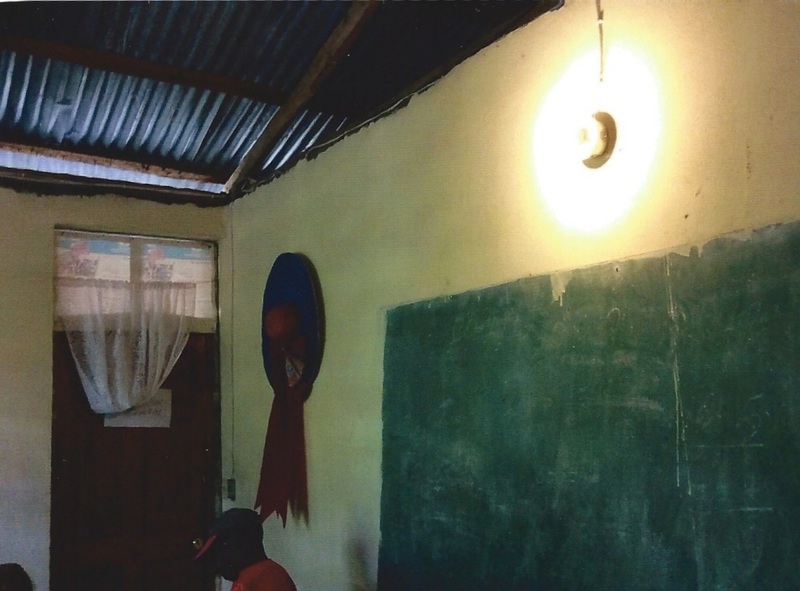 As a result of a Rotary project, there is now reliable, safe, renewable, free, electric lighting. Rotary Clubs of Centreville, Chantilly, Arlington, Dunn Loring – Merrifield, Fairfax, Leesburg, Leesburg-Daybreak, McLean, Mount Vernon, Purcellville, Rosslyn – Fort Meyer, and West Point participated together in this project. Construction began as soon as funds were released by District 7610 in the fall of 2014, and all was completed by the end of February, 2015. Canon is a desperately poor village over 250 km from Port au Prince in the mountains of southwestern Haiti. Canon is an hour by 4-wheel drive vehicle into the mountains from Chantal, the nearest source of medical care. Canon is quite isolated due to the adjacent river which frequently floods to a dangerous level and thus prohibits vehicular crossing, which is usually done by driving through the river itself. Children from the surrounding mountain homes who attend the village school. They now have adequately lit, safe classrooms with computers. Adults from the widely spread out population who can gather at night in a well-lit focal point for community gatherings, civic meetings, and adult education classes. Community that now has electronic communication with the nursing nuns at the regional dispensary in Chantal as well as with medical facilities in Les Cayes. The local Catholic Priest has taken responsibility for maintaining and overseeing the sustainability of this project and Rotarians are planning another follow-up trip.